2) Resizable Images - By default, all of your uploaded images will load into the canvas as a "Resizable" image. These are images that appear smaller in the canvas and can be completely resized. This is best suited for icons or smaller graphics. Another nice thing about resizable images is you can have more than one in that canvas at a time, so creating a collage is a breeze! 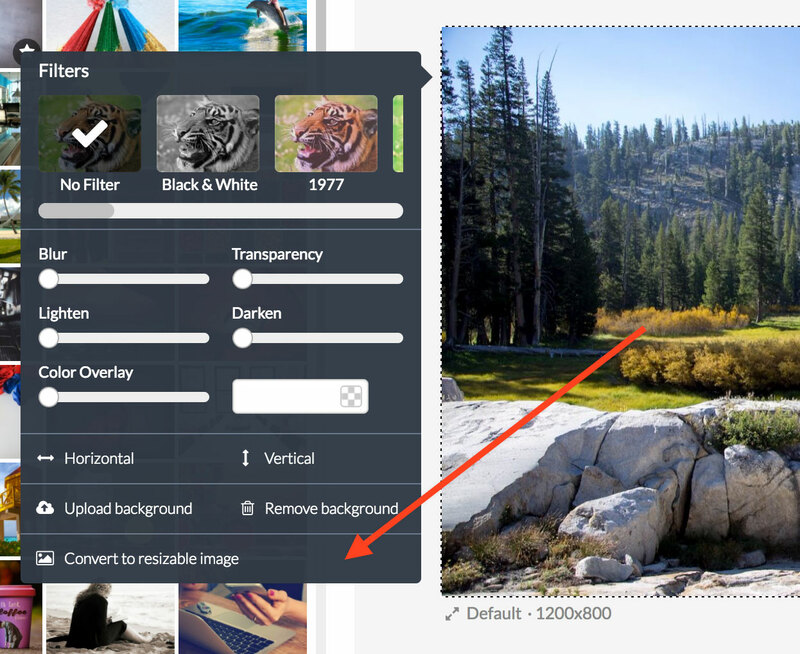 Any photo (even ones you've uploaded) can be easily converted back and forth from a "Background" to a "Resizable" image. Just click anywhere on the photo and select either "Convert to resizable image" or "Set as background" depending on what state you're currently in.